Will McDowell was inducted as Fellow of the American College of Trial Lawyers at a ceremony held on Saturday, March 3, 2018 in Phoenix, Arizona. Will McDowell is a partner of Lenczner Slaght with an active public and private law advocacy practice. From 2005 to 2008, he was also Canada’s Associate Deputy Minister of Justice, with responsibility for civil litigation, national security and issues involving central agencies. In August 2017, he was named Lead Commission Counsel to the Long-Term Care Homes Inquiry. 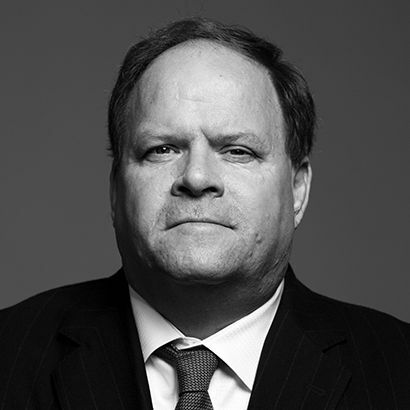 Will is a Bencher of the Law Society of Ontario and was a joint recipient of the Department of Justice National Award and is recognized as an expert litigator by Lexpert, Best Lawyers, Benchmark, and Who’s Who Legal. He has also been honoured by the University of Toronto for many years of volunteer efforts on behalf of his alma mater. The American College of Trial Lawyers is a distinguished organization of trial lawyers in North America, dedicated to maintaining and improving the standards of trial practice, professionalism, ethics and the administration of justice. There are currently more than 5,700 Fellows across the U.S. and Canada. However, membership can never be more than 1% of the total lawyer population of any state or province. Eligible lawyers are called to Fellowship in the College from all branches of trial practice and include advocates who represent plaintiffs or defendants in civil proceedings of all types, as well as prosecutors and criminal defense lawyers. The College is thus able to speak with a balanced voice on important issues affecting the administration of justice.